Hello everyone welcome back to my blog. Last month I wrote one of these favourites post, and I got quite a positive response. I really love watching these YouTube videos and blog posts, so I've decided to write my own every month. This month I have really focused on skincare, because I have been getting a few pesky spots that need to go. I always feel the best when my skin is glowing, and these products are great to get those results. I have been finding it hard to make my make up last on my face. I find it so annoying when you put your make up on, then you look later and its all melted off. I saw this primer on offer at Superdrug for £4.99 and I had to try it. I have been very impressed with this primer, its really kept my makeup in place and I never have to re apply which is brill. I love the finish of this primer too, it makes my skin feel very soft and lovely. 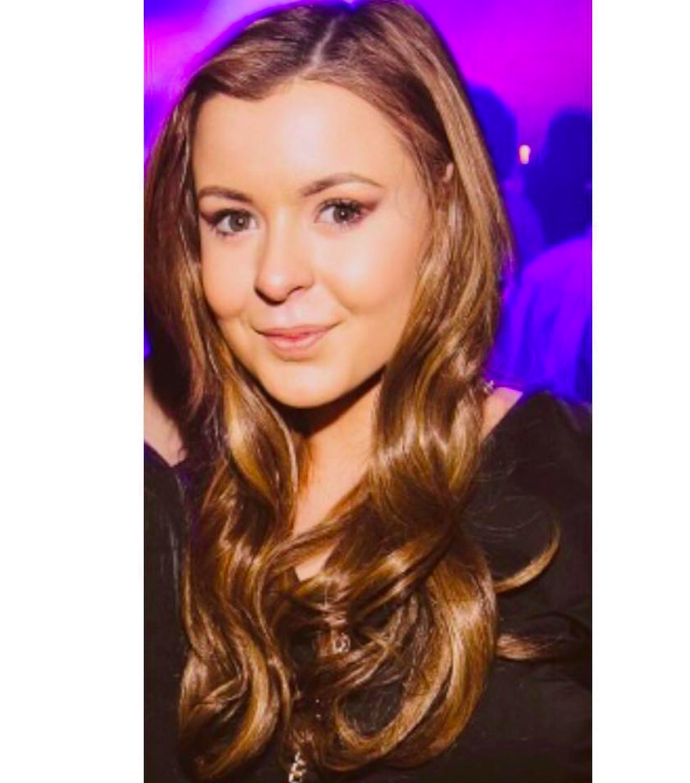 I wrote a blog post a while ago now explaining that I ditched foundation for BB creams. I have tried the original Rimmel BB cream and I love it, so I thought I would try the radiance one. This one is my all time favourite, so much so I have bought a few back up ones. This gives my skin a beautiful dewy look, which can be sometimes hard for me to achieve as I have dry skin. I love how it makes my skin look so fresh and healthy. It also has a really nice medium coverage and doesn't look cakey at all! I popped into my local Superdrug store and I was immediately drawn to this palette. I have to admit I was a little sceptical, because it was so cheap, but its amazing! I am so glad I bought this little palette. It has every colour for any look. For £2.99 the pigmentation is fantastic they show up so well, and I don't even use a primer. I love Simple products, because its amazing for sensitive skin and doesn't give me any reaction. This moisturiser is perfect for putting on before your makeup, it really keeps your skin nice and hydrated. The bottle claims to last 12 hours, and I can definitely agree with this because my skin feels soft for ages! Last month I shared with you the Garnier micellar water. I still love the micellar cleansing water, but I find that this leaves my skin feeling so pampered and soft. Sometimes the micellar water seems to dry my skin out, and doesn't leave any softness to my skin. This is such a great find and I will continue to repurchase. Its so soothing on my skin and doesn't give me any reaction, which is great for my sensitive skin. I think I've mentioned this product a good few times on my blog, but my love will never end for it. If you want a beautiful tanned sun kissed look, without resulting in a streaky patchy mess this product is for you. It gradually takes you to a sun kissed colour. Apply everyday until you get to the colour you desire. I apply this product before I go to bed, then wake up beautifully bronzed! Hello everyone welcome back to my blog. 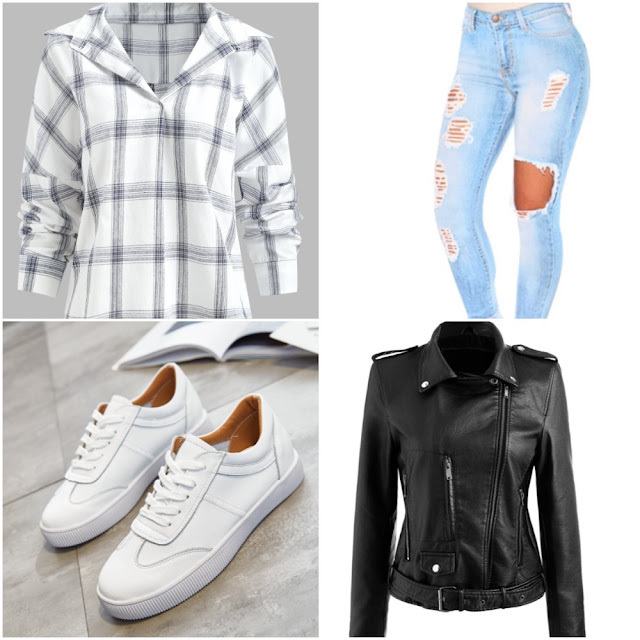 Today I bring to you an outfit post, I know I don't do a lot of them but its just an every now and again thing. I recently purchased a new denim shirt, because I lost my old one. I love the light colour of this and it is so lightweight. I think this shirt would look great underneath jumpers in winter, and because its light weight you don't have to worry about looking bulky. I also love this denim shirt styled as a jacket. Denim shirts are definitely a staple for anyone's wardrobe whether you're a man or a woman. There's so many ways you can style a denim shirt. I think I will be wearing mine constantly its perfect for casual days. I know these shoes aren't to everybody's taste but I love them. They give a casual outfit like this denim one, a lovely pop of colour. Hello everyone welcome back to my blog. 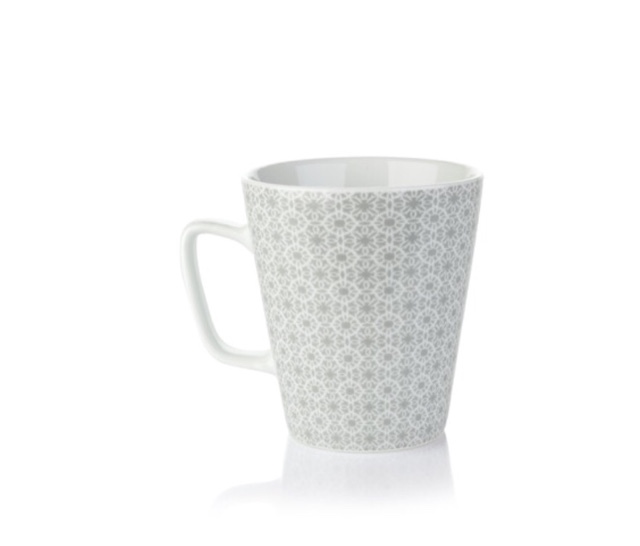 So today I was looking on the esprit website and came across their home range, which is so fab. I love home ware, from the little vintage hearts and the cute fairy lights. I really think they make such a difference and put your own stamp on your home, by bringing out your personality inside. I love everything esprit has to offer In the home range, so I thought I would share a few items I am lusting after with you. This cushion is fab, because it's not your box standard type it's very out there and very me. 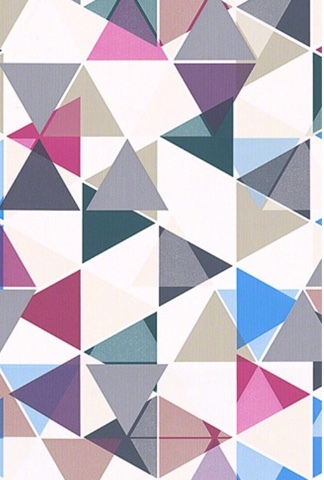 I love to be a little out there with my fashion with loud prints, so it's no exception with choosing home ware. 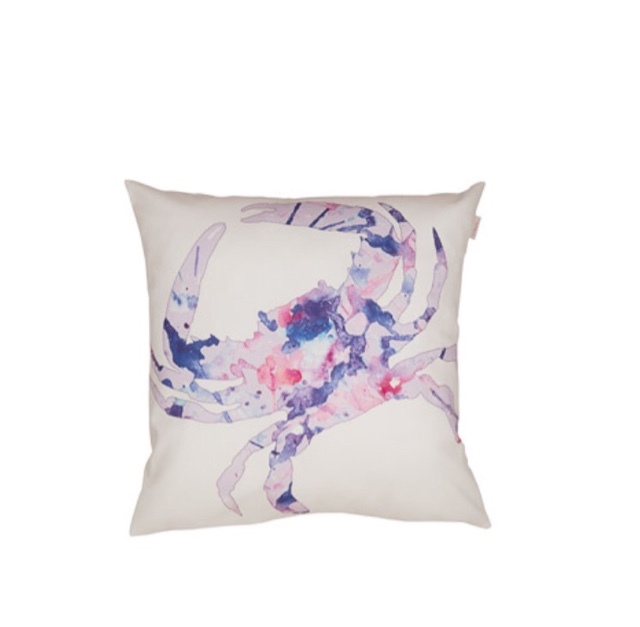 I love the crab and the cute floral print I think it's unique and cool I've never seen a cushion like this before. This cushion would look great in my bedroom. When I am no going for loud prints I either choose monochrome or grey. 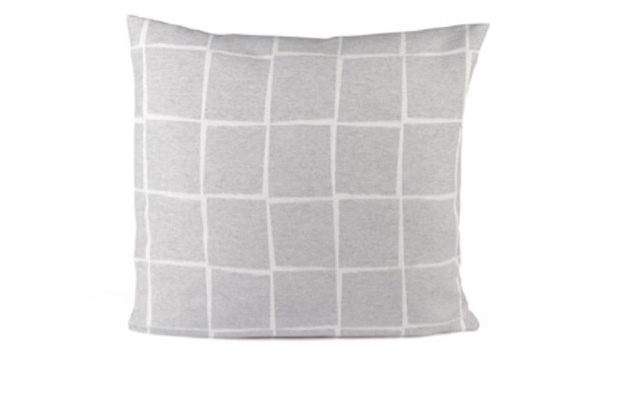 I love the print on this cushion it looks so chic and classy, perfect for your living room. I love adding little cute items around the house. 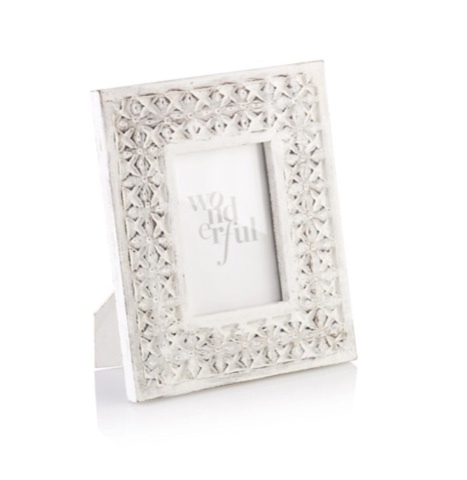 This cute frame could hold a lovely memorable picture, and look stylish at the same time. I think little items like this really make a home your own. I love this little cup its so cute and pretty! These curtains are beautiful i love the print. 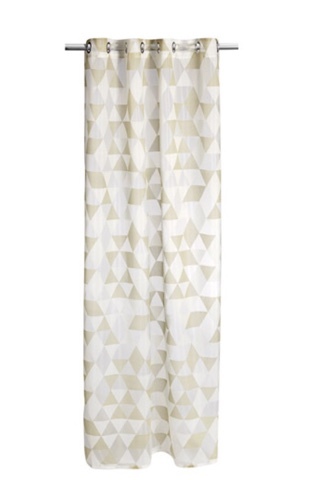 You could easily get away with these print curtains, because they aren't really loud and colourful. 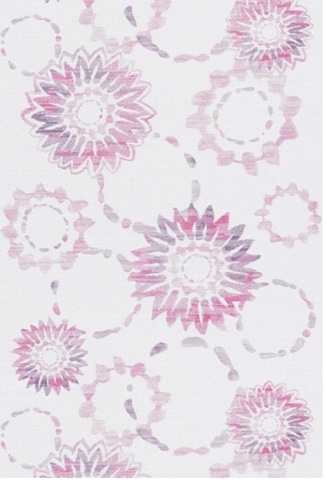 I really think these are great for injecting a bit of colour and personality to a room. While browsing on Esprit I noticed that they sell wallpaper. They are fab and definitely my taste. I love how loud and out there this wallpaper is. I know its not to every ones taste but I think with cream walls and a wall of this paper it would look great. Then add with cushions and little accessories, don't go too crazy on accessories though because you already have such a loud wallpaper, You don't want to clutter your room. This wallpaper is so cute. This is great if you're wanting to try out some print but don't want anything too loud or drastic. This is a lovely subtle colour and it doesn't look too loud or drastic. Tips for all those morning haters. Hello everyone welcome back to my blog. 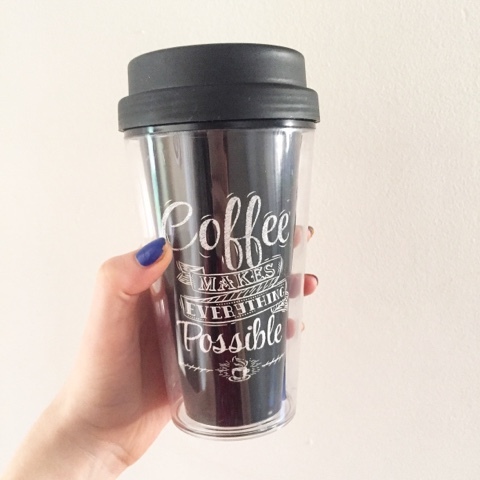 Today I'm talking all about the dreaded early mornings. Now I find it hard my self because I am very grumpy in a morning, but since I'll be starting college soon and I've got an hour journey I'll have to get used to those early mornings again. When you get into the routine it's easy and you just wake up, but everyone wants an extra 5 mins snooze, which then makes you late, because the 5 mins turns into like 20. It's hard I know to not hit that snooze button, it really shouldn't of been invented. It really can be easy to make mornings bearable and I'm going to explain how. Firstly make sure you get a good nights sleep. Getting to sleep at 3am isn't good and you will feel like poo the next day. Try and unwind before you go to bed, take a bubble bath, read a book what ever it takes to block everything out and relax. The main reason people can't sleep is because they can't shut off their brain, so just relax. I know it can be hard but do something that relaxes you I like taking a bubble bath and reading a book, yoga can also help. Get out everything you need for the day ahead, you do not want a last minute rush before leaving the house it puts you in a bad mood. If you have everything ready then your planned and you have nothing to stress about, because I used to be really bad for leaving things to the last minute. Now I am getting older I am much more organised. Be happy for your life and think of how the day is going to be a good one. Starting the day off in a positive mood gets you set for the day, and attracts good things. Think of all the positives of the morning for example if you're going to school be thankful, because there are lots of children in other countries who would love to have the opportunity you have. Life isn't a bad thing unless you have a negative outlook on it. I personally think if you start your day in a bad mood then you just continue attracting negatives through out the day. Starting off on a positive foot attracts positive things and just puts you in a good mood. 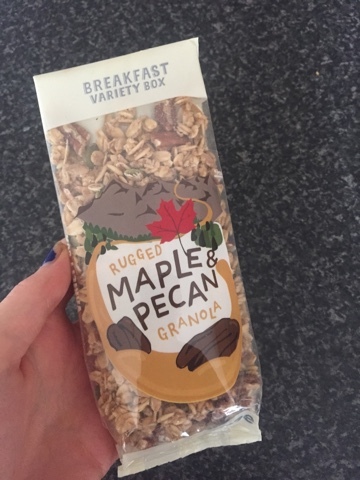 For breakfast today I had this gorgeous granola from my graze breakfast box. I used to be really bad for skipping breakfast, but now I make it a priority. I always make sure I have a good balanced breakfast, for example I love eating muesli for breakfast. I am loving the graze breakfast box at the moment it's full of goodness and prepares you for the day a head. It isn't a silly rumour, breakfast really is the most important meal of the day. You can not think straight on an empty rumbling stomach, it just becomes a distraction. Hello everyone welcome back to my blog. Today I am targeting a topic everyone has as one of their goals in life. But it can be hard to actually push your self to work out, but nothing in life is easy and most of the time you do have to push your self to do well. When I am exercising I always listen to music, for example it's always a playlist I have made. This playlist keeps me going and it's always loud motivational music to keep me going, for when that voice in the back of my head is saying stop. 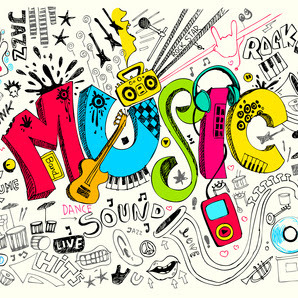 I would really recommend to make your own playlist, for your own personal preferance. You also have to be in the right frame of mind, because if you start off by thinking I'm rubbish I can't excercise well you're not going to do well. Starting on a positive note, by thinking I'm going to do the best I can and keep on improving. This will give you a higher chance of succeeding, because you believe in your self. That's the most important thing to believe in your self, because if you don't then there's no point. Everyone has to start from the beginning and it takes a strong person to keep going. 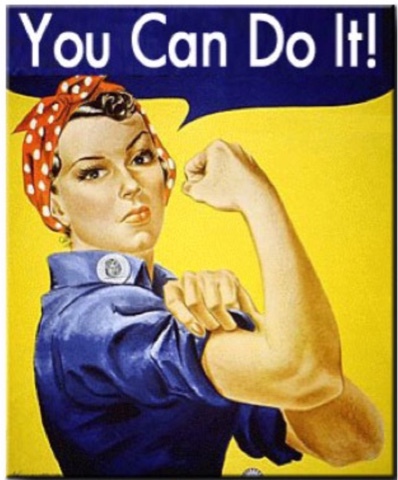 I think everyone also needs to remember not to be too hard on yourself, you cant expect to start something and be amazing at it straight away it takes time! Eating healthy is another goal we all make. Some people do end up failing and find it too hard, this is because you're probably being to strict on your self. Don't stick to the same foods mix it up, healthy doesn't have to be boring. 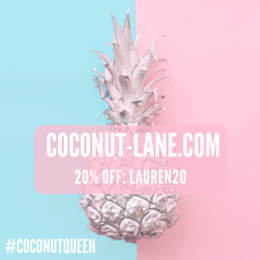 Allow your self a treat day! you can have chocolate and treats but just in moderation. I hope this quick little post helped any of you out there who are making it an aim to get fitter. Hello everyone welcome back to my blog. Today, as you can tell by the title I visited York. York is such a lovely place and has a lot of history to it. I love the look of the buildings and the town centre has a really nice atmosphere. I got lots of pictures of the York cathedral, because its beautiful the detailing of the building is amazing. The cathedral is massive, we have one in Sheffield but its no where near as amazing as the one in York. It's just absolutely gorgeous with the detailing, it amazes me how humans made all of this it must of took a very long time, but definitely worth it. I am very pleased the weather was bright and sunny, because it made the pictures look even better. The day was very nice. York is only an hour away and its just so nice to see new places and discover great things. I had lunch in York I went in a Yates pub, it was nice I had this Mexican pasta. I also loved how there were little food stands in the city centre, I saw a crepe stand and had to try one, seen as I have never had one. I just had some nutella on it and it was so good. There was also a lot of magic shows going off for little kids and well for everyone to be honest, because I was pretty fascinated by it. York is a really lovely place and to be honest I am jealous if you live there, because I would love to. I would highly recommend you visit York if you haven't already. I know this is a very unusual angle but I really like it. I know I keep on saying it, but how beautiful is the detailing. Walking up to the cathedral. Getting closer to the cathedral. Loved this little shops, I wanted to buy everything. These quotes are great. This building is so amazing I loved the look of it. Boats near where we had lunch. Cute little vintage/shabby chic shop. Hello everyone welcome back to my blog. Today I popped into superdrug to buy a few bits, and discovered this gorgeous palette. The colours immediately grabbed my attention they are just beautiful. This palette is great for day and night, I thought of all the looks I could create straight away. The even better part about this palette is the price £2.99, such a bargain right? For such a small price you wouldn't expect much from it, but the colours are highly pigmented and show up so well. Some of the colours are a little like my naked on the run palette. The colour cocoa dream really resembles a colour from my naked on the run palette. Surprisingly the colours really are good and look long lasting. I cant wait to create pretty smoky and casual looks with this palette. I might write a blog post soon on the eye looks I create with this palette. Close up of the beautiful colours. I would recommend you pick this up while you can. They are obviously a good seller because I took the last one at my local superdrug. What do you think to this palette? let me know in the comments. Small things with a lot of meaning. Hello everyone welcome back to my blog. So, as you know I went to Castleton Sunday and brought back this pebble. 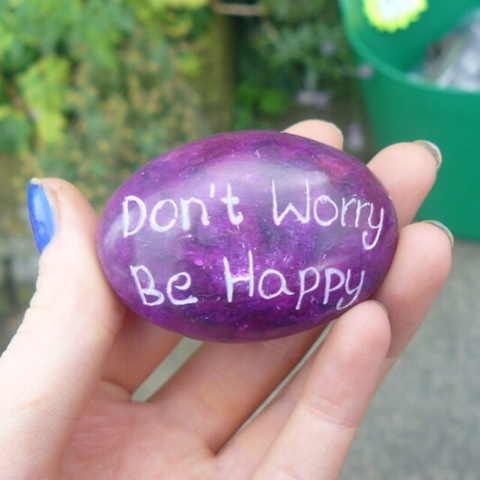 I know it sounds so lame, but it's special because it has a quote a very special quote, "dont worry, be happy". This pebble was the only one in the shop. It just stood out to me, like it was meant for me. I think this pebble is going to be a lucky keepsake, something very special to have. I know it may sound silly, but when I look at this pebble I just smile. I plan on taking this in my bag where ever I go, to give me luck and reassure me when I'm in a bad mood. Such a simple saying like this really picks me up. I plan on keeping this special pebble forever, where ever I go it comes with me. This stone will eventually hold a lot of memories, and become very sentimental. I love small things like this. It really is the small things in life that make you smile! It's so lovely to have little things like this in life to treasure. It may be something you have passed down by generations in your family or something a friend gave you no matter what it is, it's special to you and no money in the world could buy it off you. Yes, it's nice to have expensive jewelery/items but I think it's even better to hold items with memories, because these things are priceless. Just think how nice it will be to look back at something in years to come, and think of all the memories. Now, to some people this is just a pebble but to me it's more, as you can tell. The main point I'm trying to get across is everyone has something special it can literally be anything! Nothing is silly. If it's special to you then it's definitely not silly. I love this saying I think we should all be happy and not worry! After all life is a beautiful thing and we should live it to the fullest. We are all lucky to have the life we live, So enjoy it while you can! Hello everyone welcome back to my blog. Today I visited a place called Castleton. Its in Derbyshire and its a beautiful place. I got some beautiful shots and I am very pleased with them. The weather was really on our side today it was beautiful, perfect day to go out. Like I said on my last post I want to make more of an effort to explore places, this beautiful place is right on my doorstep its not far at all. I love the place everyone is so friendly and everyone's smiling and loving life. I loved walking around and seeing these beautiful sights, I also loved capturing them because I love photography. 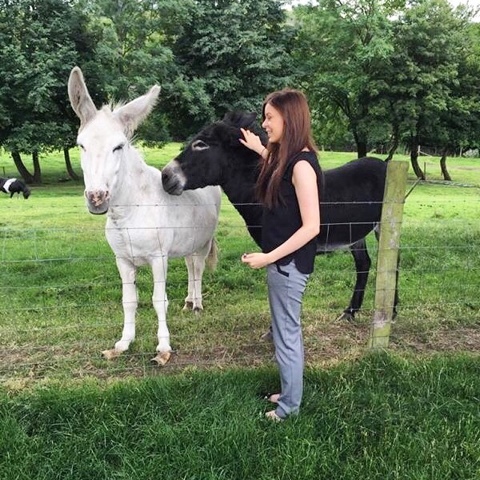 I met some cute little animals, including two donkeys, a Shetland pony, sheep and a goat. Being a massive animal lover I couldn't resist stroking them they were so lovely and friendly. We went out for a lovely meal in a country sort of pub, it had a lovely atmosphere to it. I had a veggie enchilada, it was lovely. My mum and her boyfriend chose to have a lamb dinner, but I chose the veggie option as I am a vegetarian and have been for a month now. Meat doesn't bother me that much so its not a hard decision. So here are the pictures I have taken I hope you like them! This was a cave called the Devil's arse, I know very strange name and yes it made me laugh. It looks so cool they have concerts inside every so often, and things going off at Halloween and Christmas. You can go inside and explore it looks so much fun i really want to go back and do that next time! I love this picture, how i managed to capture the water gushing. Everywhere you look there's so many pretty flowers. This shop looks so pretty. This cute little manikin was outside a little cake shop. I love the vintage theme to it. This goat was so cute he was so determined to get my attention! I just managed to get a quick picture of the Shetland pony. And some more cute flowers, such pretty colours! So my Sunday has been lovely, how's yours been? let me know in the comments.